Is it always better to breathe deeply? Have you ever tried to breathe (or walk, or do some other movement or activity) in a way that someone you trust told is ‘better’ only to feel like you were making things worse? I get people in my practice who have this sort of trouble all the time. They may believe they are improving themselves by tightening their ‘core’ or controlling their breath in one way or another, only to discover they are in fact getting in their own way. It’s my job to help them unlearn their old habits, and discover new options which are easier and more effective. Dr. Feldenkrais taught many, many lesson on breathing. There are Awareness Through Movement® lessons in which one explore breathing: through the mouth and through the nostrils, expanding the belly on the inhalation and expanding the belly on the exhalation, focusing the breath and the belly, and focusing it in the chest, and on and on with incredible variety. So how does he get away with saying he’s “against breath exercises” that instruct one “to breath like this or like that”? The answer lies in the variety of the lessons. The directions are not intended to instruct you in how you should breath, but rather to give you an experience which will result in improved breathing. There is often something indirect in these lessons, such as focusing on the exhalation in order to improve the inhalation, or focusing for an entire lesson on your abdomen only to discover at the end that your chest is moving more with your breath. The common thread to all these lessons is that they are never designed to teach you to breathe correctly, but rather to become aware of yourself and your breath. The “nature of things” he’s talking about is the way our nervous system works, which is by regulating itself to work optimally on the basis of the information it has. Give it new information, and it will settle into a new pattern (a new “homeostasis”) based on that information. If the information coming in is that you are in danger, you will contract your muscles and hold still as you apprehensively survey your surroundings for the threat. (Most of us call this pattern “being stressed”). Your breathing will accordingly be shallow and inhibited by the muscles engaged in your belly, back, and chest. But if you have an experience of relaxing your belly or the muscles between your ribs, your breathing will naturally adjust to take advantage of the new option, and you will also find yourself feeling more calm and safe. And less stressed. This is one you can do in bed if you like. 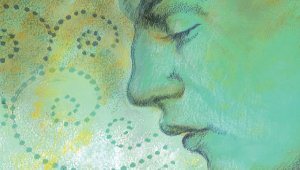 It will help you feel the difference between trying to breathe in a certain way, and using an indirect exploration to change the pattern of your breath. I’ll leave it up to you and your nervous system to decide whether the result is a better way to breathe. Lie on your back, with your hands resting gently on your lower belly (with your whole hand below your navel, all the way to the crease of your thigh). Without making any effort to breathe deeply or in any particular way, notice how much this part of you moves, or doesn’t move, with your breath. (For contrast, slide your hands up to just under your ribs. Most likely there is more movement there). If you wait long enough simply paying attention to the movement of your breath in your lower belly, that simple increase awareness will bring about more movement and freedom, but that’s not the point of this particular experiment. Now intentionally breathe into your lower belly for a while…. There’s nothing wrong with this, except that it’s not very sustainable: you’ll most likely stop doing it as soon as you stop intending to do it. So stop doing it, and rest for a bit. Notice any change in your breathing – including the movement of your lower belly. Let’s take a more indirect approach now: instead of focusing on breathing in, focus on breathing out. Slowly push all of your air out, contracting both your chest and belly, and hold the air out until you feel like you need to breathe. Then swallow and then let your mouth open, allowing the air to rush in. Notice how this inhalation moves through you, including how it moves your belly. Do this experiment a half-dozen or so times more, but you can allow your breath to settle between repetitions. Rest, and observe the quality of your breath throughout yourself, and particularly in your belly. The change you are now feeling will stay with you at least until you engage in some other activity in which you habitually use your belly differently (sitting up?) But if you like the feeling in your belly now you can cultivate it, both by repeating this exercise every night for a while, and by extending your awareness to your belly throughout the day. How does this awareness affect your life? Let us know in the comments below!